Beech Class parents are invited on Friday 29th March to see their child's work at 2.50pm. Please come in via the classroom doors. Chestnut Class parents are invited on Thursday 4th April to see their child's work at 2.50pm. Please come in via the classroom doors. Added on February 4, 2019 by School Administrator. Please click here to view the letter with details on the trip to The Corsham School for The Planets performance. Added on January 18, 2019 by School Administrator. Chestnut class has been given the opportunity to perform The Planets by Gustav Holst, with an orchestra. This special event is a music project initiated by David Garcia who has written choral parts for this piece. 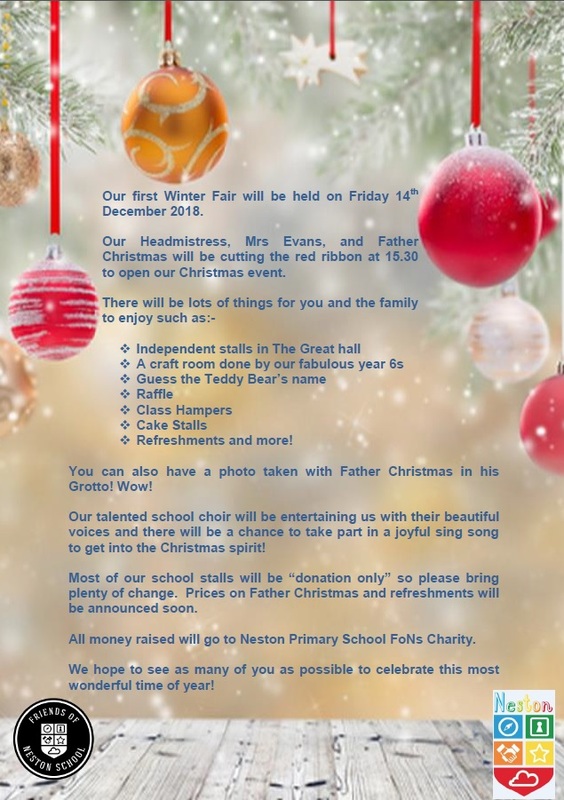 Neston is one of only four schools singing in this special event. The performance will be held at Corsham Secondary at 18.30 on Tuesday 12th February. The rehearsal will also be held on the 12th, prior to the concert, at 17.15 - 18.00. The children will need to be at Corsham Secondary by 17.00. To view the letter that was sent home, please click here. Added on December 17, 2018 by School Administrator. The year 6 children are invited to visit The Corsham School to experience a "taster day" on Wednesday 6th February. If your child is due to start Secondary School in September 2019, please click here for details on how to apply. As an end of year treat we are planning a Year Six camp-out on Friday 20th July to the morning of Saturday 21st July. We will be camping within the school grounds in tents and will be having a barbeque and campfire to mark the end of Beech’s primary school career!